PRESS RELEASE– The Improve59 Coalition announced this week that its call to widen, modernize and upgrade New York‘s Route 59 was endorsed by Ironworks Union Local 417, Teamsters Local 445 and an expanding coalition of faith and community leaders. The group will host its first Community Education Day on the plan later this month at the Town Square Mall to engage Ramapo-area residents on the coalition’s vision for infrastructure in the Monsey Commercial District. An informational booth will be setup with renderings available for viewing as part of a series of workshops being planned to invite the community to learn more about the dramatic new initiative and ways to get involved. 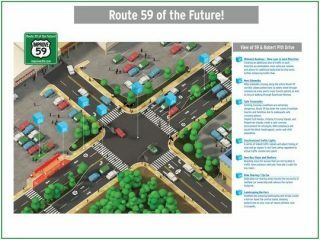 Improve59 recently unveiled its vision for the corridor, which proposes widening Route 59 with an additional lane of traffic in each direction and synchronizing traffic lights. 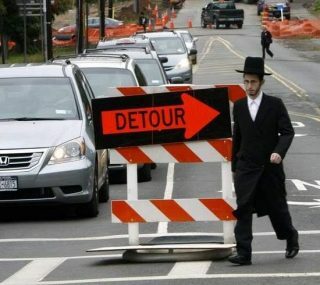 Major improvements also include adjusting traffic flow on Route 306 for bottleneck relief as well as creating a Route 59 bypass road from Route 59 toSaddle River Road. The coalition also prioritizes pedestrian safety by proposing the creation of sidewalks, safe crossings, and medians to discourage jaywalking, as well as a biking/walking trail from the existing park at Old Nyack Turnpike through Monsey Glen Park. Teamsters Local 445 and Ironworkers Local 417 reflect the latest organizations to formally endorse Improve59. Mike Gaydos, President of Ironworkers Local 417 announced the Labor organization’s membership in the Improve59 Coalition as well. The coalition also announced that Pastor Nathaniel Demosthene of First Timothy Christian Church in Spring Valley would assist in educating community members about the plan. “New infrastructure will benefit all Ramapo residents. I look forward to great discussion in the community about the Improve 59 initiative,” said Pastor Demosthene. Members of the coalition also include New Hempstead Mayor Fred Brinn, Ramapo Councilwoman Brendel Logan Charles and Rockland County Legislator Aron Wieder. Improve59’s Community Education Day will be held on Thursday, March 16, 2017 from 12-4 p.m. outside the Evergreen Market at Town Square (59 Route 59 in Monsey). Community members are invited to stop by to view drawings and join the coalition to receive updates and resources on getting involved.